Beer festivals are great fun. They offer a chance to try a wide variety of beer and hang out with other beer lovers and brewers. Bigger festivals attract the beer gadgets crowd where you can see a wide variety of useful and useless beer products. And you can literally drink all that you want, usually for just the entrance fee. Can you think of a better way to spend a few hours? But to enjoy a festival it’s good to do a little planning. Here are my tips for not only surviving but getting the most out of a festival. Have a meal before you go. Most festivals have food but the prices are typically high and portions small. You’re going for the beer, so avoid the temptation of diving in and drinking on an empty stomach by stopping for a hearty meal before you go. But avoid spicy foods; you don’t want to destroy your palate before even entering the festival! Many festivals provide free bottles of water but just in case have one of your own. It will be handy to keep your palate fresh and, if you follow the rule of drinking one water per one beer, you should keep your consumption under control. You should also pace yourself. 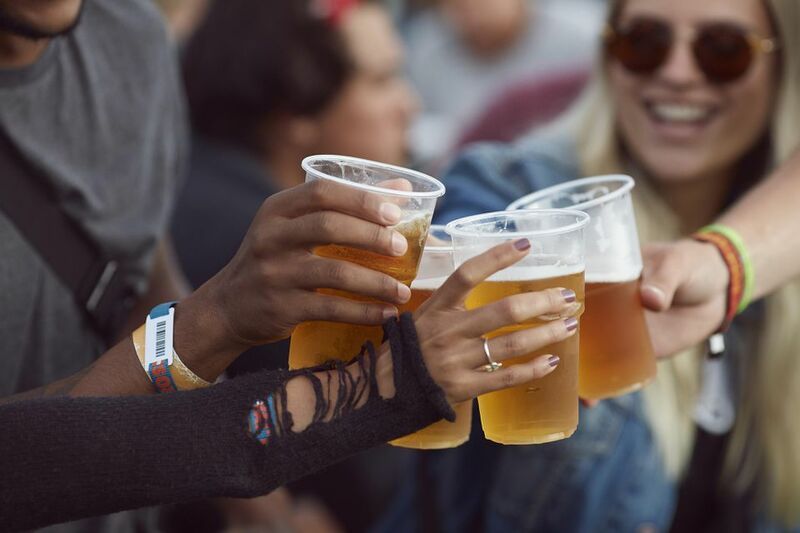 Although beer festivals tend to attract a better quality crowd of drinkers than, say, the dollar a pint night at the local bar, there are always a few attendees who let their drinking get away from them. The point of the event is to try many beers, not to drink uncontrollably. Taste the beer, get an impression of it then either dump it or take some more time to get to know it. Festival sessions are usually three, four or even more hours long. It’s not a race. Beer festivals are held indoors and out and in every kind of weather. We’ve been to festivals where rain turned the festival grounds ​into a nasty swamp of mud and other festivals on top of parking garages under an August sun. Know where the festival is being held and what the weather forecast is and dress appropriately. And wear comfortable shoes. Festival organizers don’t always think to provide enough seating so you could be spending hours shuffling from one beer-pourer to the next without a break. Whether you think that you’re going to or not you are going to wind up thinking and talking about which brewery is from where what styles they’re serving and what they taste like. It’s a good idea to have a look at the festival information before you go. Although many festivals provide brochures and even floor plans at the door, taking a few moments to review the brewers and beer styles a few days before will give you a good idea of what to expect. Decide which beers are “must tries” and plan which you will try in order of lightest (in flavor) to heaviest. You may want to buy something. Beer festivals attract vendors of other beer products and food. Although some accept credit cards or provide ATMs things are just a lot easier if you have some cash in your pocket. Once again, you might not plan to get all beer-geeky about the festival but odds are you will come across a beer or three that you really like and want to remember to buy more of later. No matter how good your mental notepad is you will not remember all the beers you tried, trust me. At two or three ounces a taste, in the confusion of the crowd and with all the brewery names you will forget a beer. The most common question we hear after a festival is, “What was that one beer, you know, the one that was really good that we tried after that other one?” Bring something with which to take notes. Beer festivals also attract characters. Bring a camera because you’ll see plenty of spectacles worth recording.